The Bible clearly teaches the deity of Christ, but it also teaches His humanity. 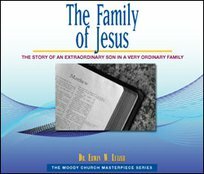 In these messages we are reminded of His humble origin, His relationship to His parents, and His friends who were closest to Him. Best of all, we will learn that we are included among His relatives!